I scream, you scream, we all scream for ice cream! Particularly when you live in a place where temperatures can start hitting 100 in April (truth, it happened this year!)! Luckily the desert-dwelling residents of the Valley of the Sun seemed to be a little obsessed with all things ice cream and there is no shortage of shops get their ice-cold groove on. 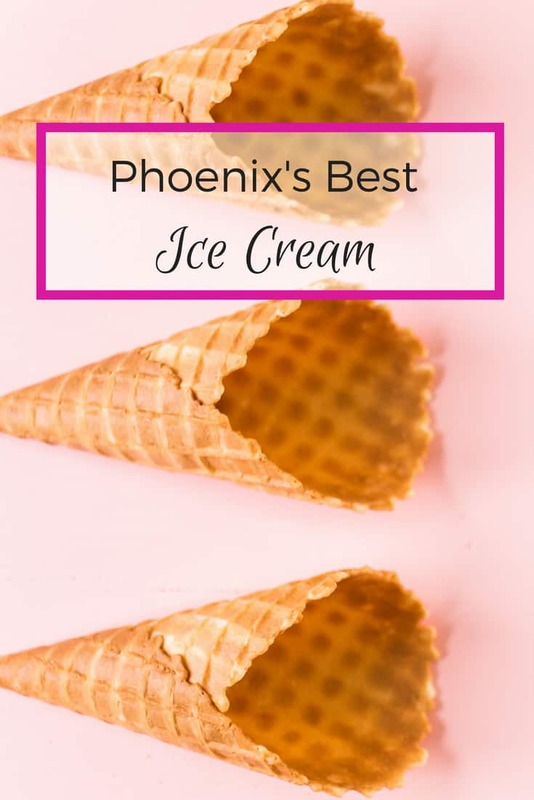 Today I’m sharing my top picks for the best ice cream (and all its varieties) in the Phoenix area. By the way, if you love ice cream and are interested in the origins of various varieties, regional variances, and any other ice cream history, I highly recommend The Sweet Spot from Amy Ettinger. I read it last summer and included it in my summertime reading list and absolutely loved it! Anything food related is always going to be subjective, so while Sweet Republic may be my pick for my all-time favorite, you may just as easily find another shop on this list that you prefer. Variety is definitely the spice of life! This award-winning shop is known for its unique sweet-savory flavor combos. Like many other shops, they use fresh local ingredients and make their ice cream from scratch. 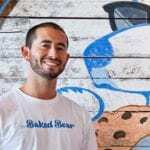 But I think that their Asian heritage and culinary backgrounds (Le Cordon Bleu in Sydney) plus time spent at Eccolo in Berkeley, makes for very distinct recipes that they bring to the table, and to your bowl! Everybody loves a classic. I’d say even more so when it comes to ice cream. For generations people have been going to ice cream parlors for shakes and sodas on date night, for a family treat, to celebrate a special event, or to drown our sorrows. The Phoenix area has no shortage of nostalgia served up with one scoop or two. Established in 1928, MacAlpine’s Soda Fountain is a local legend and serves up Thrifty brand ice cream in a vintage retro environment. An old-school ice cream parlor with sundaes, shakes, and floats. They master anything with nuts, so try out one of their nut-forward flavors like pecan praline, rocky road, coffee Heath Bar crunch or penuche nut. If Sugar Bowl was on Instagram they would definitely be using a pink filter! 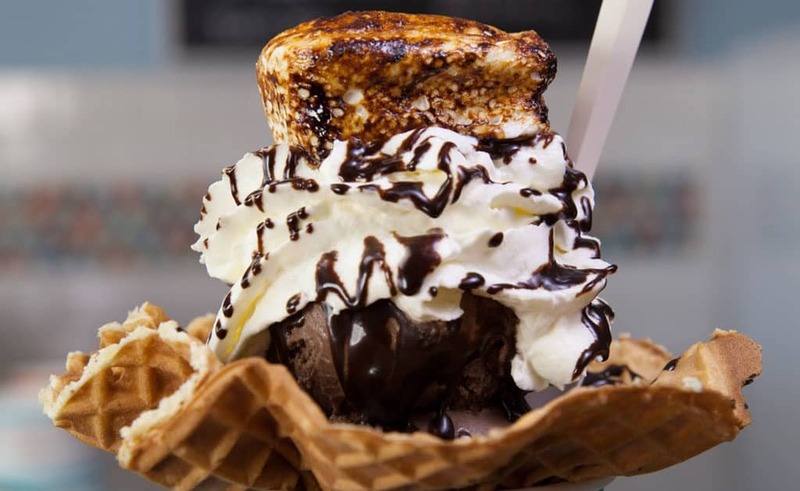 This old-fashioned soda shop serves ice cream, shakes, and malts along with their famous Camelback Soda: an old-fashioned soda with vanilla ice cream with a side of soda water. All the dairy for their ice cream products comes from Superstition Farm dairy farm (you can even tour the farm!). Their head chef creates fresh flavors with local ingredients without artificial colors or preservatives. This is a classic yet artisan ice cream shop. 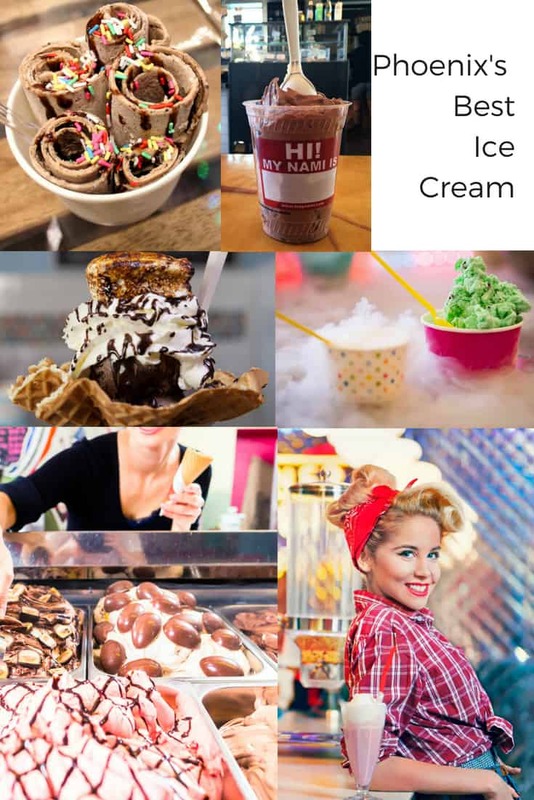 They serve hand-crafted ice cream amongst with classic candy and toys that make everyone feel like a kid! 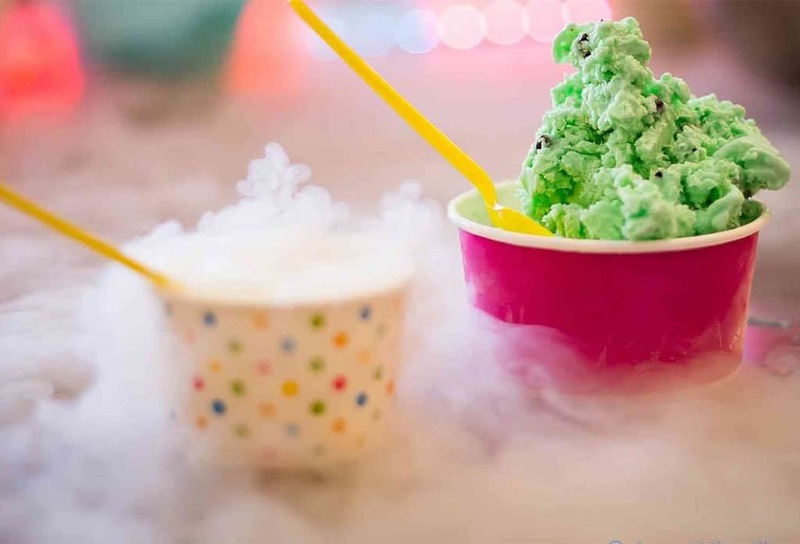 They’ve been doing this in San Francisco for a while now (Smitten Ice Cream was one of the first), so it makes sense that made-from-scratch liquid nitrogen hand-crafted-to-order premium ice cream has come to Phoenix, where the desert-loving crowd can really appreciate the cold factor! This very blogger-friendly locale has it all and everything is customizable here, including your base. 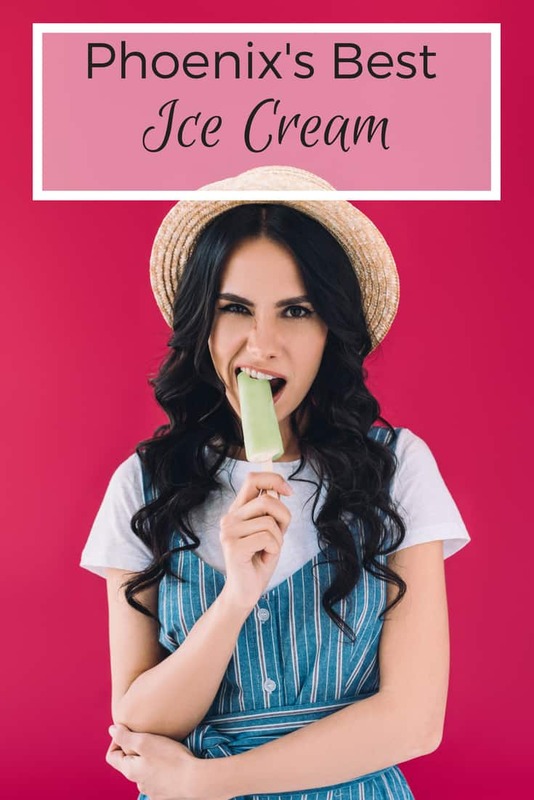 So whether you want ice cream, low-fat ice cream, yogurt, or custard, you are going to get it ice cold with whatever flavor or mix-in you want. This is actually a franchise ice cream store with a single Arizona location in Gilbert. They instantly freeze each ice cream order, making sure each item is rich, creamy and cold! I had never seen or heard of ice cream rolls until I moved to Phoenix. But it turns out they have been doing this in Asia (right under my nose too) for quite awhile. I’m glad I finally got to experience it! Created by a charismatic gentleman who turned tragedy to triumph, this used to be a food truck that is now a shop in Glendale. “The dude” starts with liquid ice cream that is poured onto a freezing cold slabbed and then scraped into delicious rolls. He has some very original flavors, but let me tell you, it is not the easiest thing to eat! Thai-style ice cream rolls made by an Indian family! The only downside (in my opinion) is it inside in a mall. But the upside is that it is really interesting to watch them make them! Raise your hand if you grew up eating Otter Pops or anything from the Popsicle brand? Yep. Been there. Definitely done that. Well, popsicles have gotten a lot more sophisticated and I like it! This is the spot all the grammers love to go to! Their pops are known as “diamond bars” because of their shape which they dip or drizzle into toppings. They have dairy and non-dairy all fruit options. Go for a popsicle but don’t forget their amazing teas too! Paletas are Mexican popsicles. At Paletas the pops are handmade in small batches with fresh fruit, fresh-ground spices, and homemade flavorings. 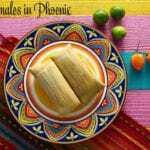 They are delicious but don’t take my word for it, they are constantly being awarded best this and that by many of the Phoenix area residents! All natural, local ingredients even when they may not make any sense, like their sesame cucumber pop! They are also nut-free, gluten-free, and have no artificial coloring and flavoring. Something for everyone right? It’s nice to see that in that those who follow a vegetarian or vegan diet can still partake in frozen treats! 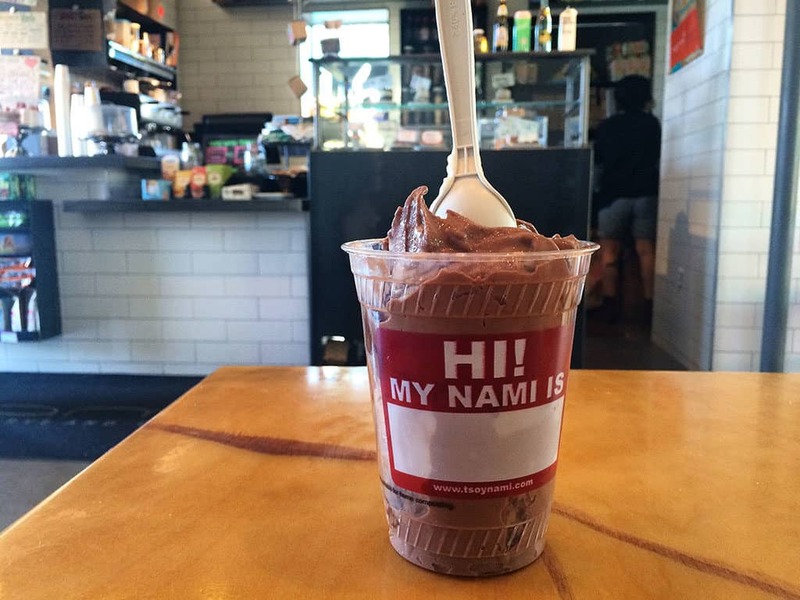 Nami is a vegan pastry shop that serves soy-based, organic ice cream-like desserts (think Blizzards) with things like organic chocolate, organic, graham crackers, Ricemellow fluff and vegan Cap’n Crunch. Or fresh fruits. People are constantly arguing about whether gelato is ice cream. It’s practically the same in every way except gelato has no eggs. But I say, who cares, it’s a delicious frozen treat and it doesn’t matter what you call it! Run by an Italian family originally from Milan, That’s Amore is making artisan-crafted batches on a daily basis in nearly 40 flavors, all with love! 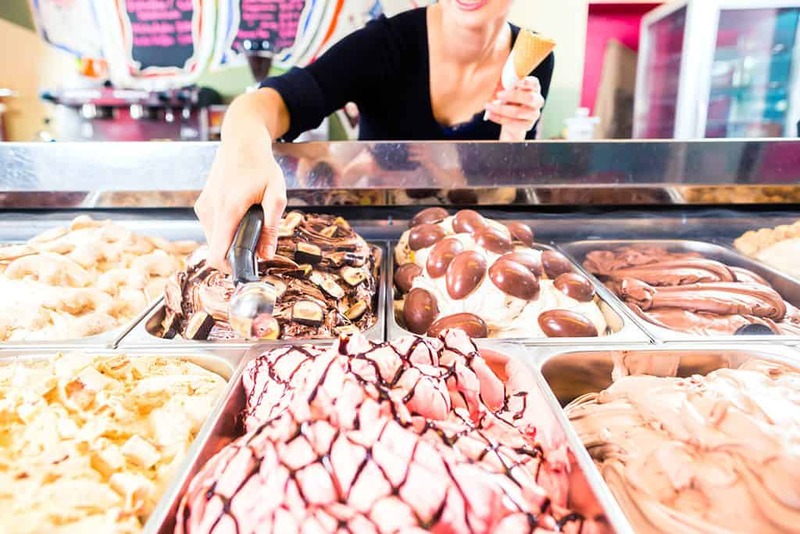 Run by trained Italian gelato-makers who like to give their flavors fun names, the Italian-born and gelato-master trained husband and wife team behind Cool Gelato Italiano know what they are doing! Their background in food consulting also means they are constantly on top of food trends as well. I love Frost Gelatos story. Two tourists in Rome looking for something cool to drink stumble into a gelateria, try gelato for the first time and fall in love. Returning to Arizona, they hired a full-time Italian chef from Bologna with 30+ years of experience and training from another master gelato chef – smart boys! How about you? 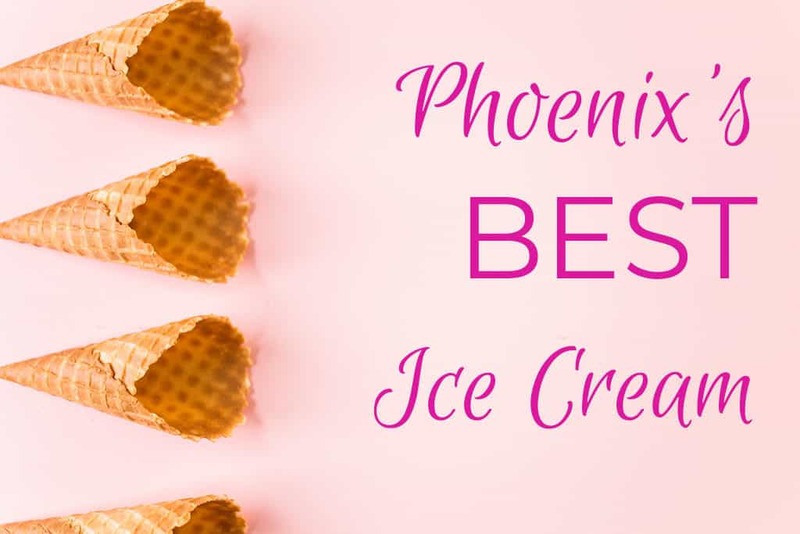 Have you tried an amazing ice cream treat in the Phoenix area? Have I tempted you to hop on a plane, train or automobile to try one of these out? Do tell! 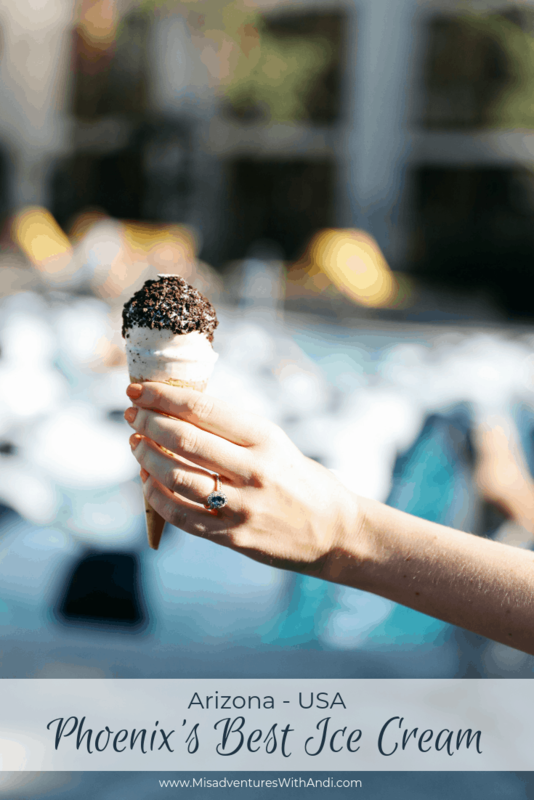 How about your favorite spot for ice cream in your own hometown? Share! Oooh, I’m drooling! What a fantastic list, I can’t wait to try them all!! OMG! I am drooling over here. I can’t eat a lot of ice cream or it depends on where it’s from, it’s weird. However all of these look amazing!! 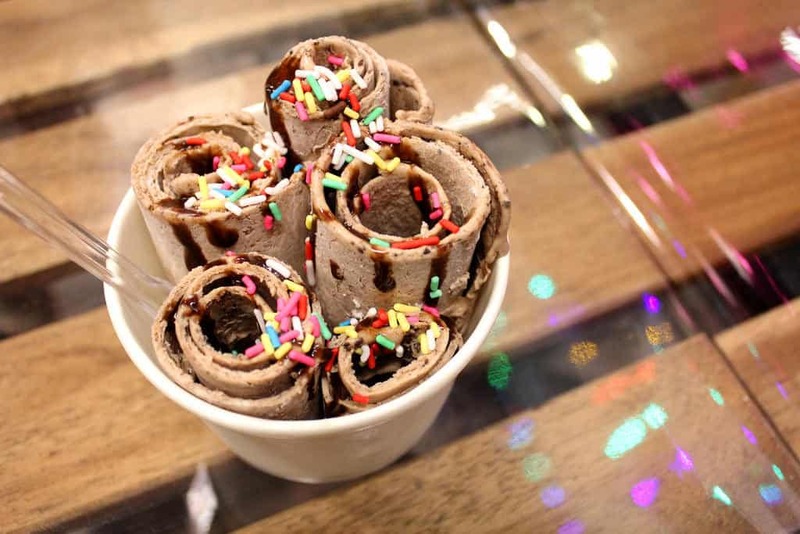 I’ve always wanted to try ice cream rolls, I see them a lot on Instagram videos. I’m all about creative and decorative ice creams, the ones that look too good to eat. This makes me want to take a trip to Phoenix, just to get all these types of ice cream. I’m not a huge fan of heat though, while it reached 100 degrees there, we had SNOW in April in North Carolina, lol. Wow it looks like Phoenix has the lockdown on ice cream. I would love to head out there and hit a few spots. I love this! Wow! 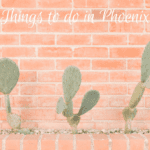 We would definitely want to try it when we visit Phoenix, so many choices! Udder Delights sounds fun. I grew up in the country but never actually got to tour a dairy farm before! That s’mores bowl looks heavenly! Sounds like a great place to get ice cream!